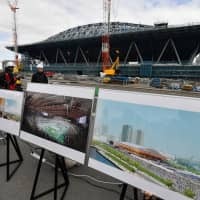 The Tokyo 2020 Olympic and Paralympic venues are on course to be completed in time for test events to be held there later this year, games organizers said Tuesday. 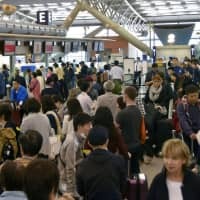 Sailing and water polo federations have already staged dress rehearsals in Tokyo, and the 2020 Olympic and Paralympic organizing committee is gearing up for a busy summer in which several sporting federations will hold test events at the venues. 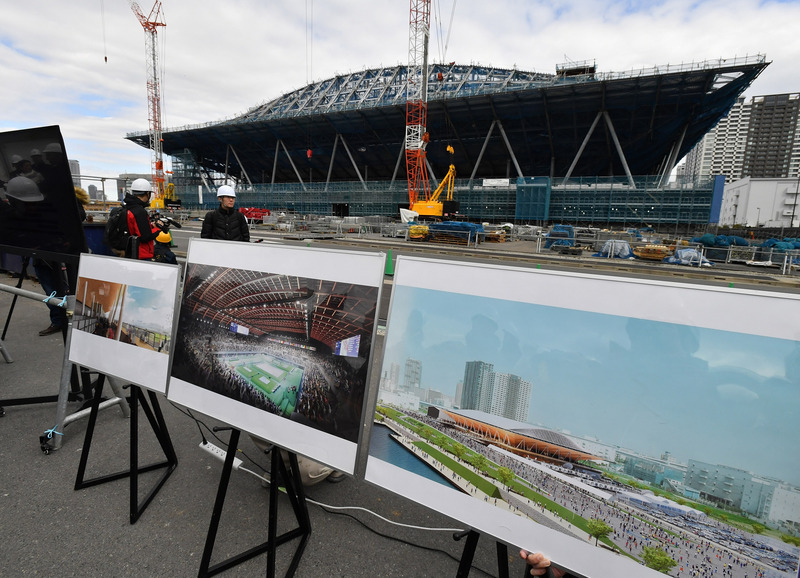 The Tokyo Metropolitan Government is constructing seven brand-new venues for the games and on Tuesday gave reporters a tour of the Olympic Village and four arenas, plus the Ariake Gymnastics Centre being built by the Tokyo 2020 organizing committee. The four metro government venues on the tour were the Kasai Canoe Slalom Centre, Sea Forest Waterway, Ariake Arena and the Tokyo Aquatics Centre. 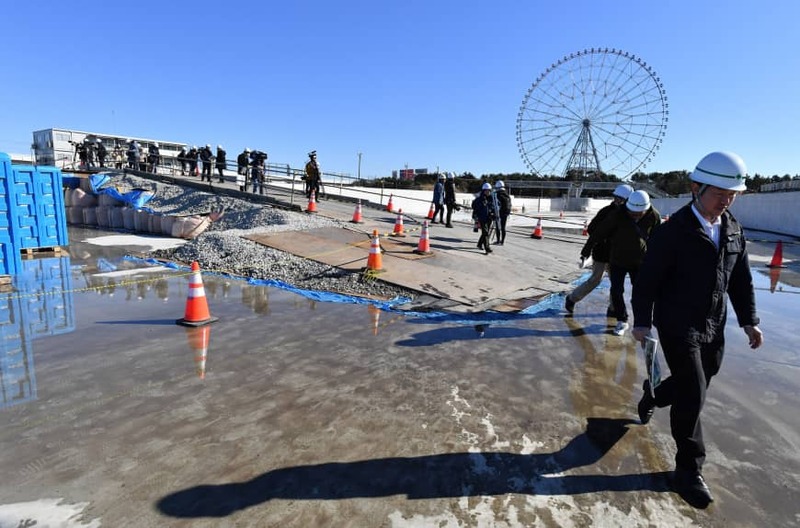 “This venue is scheduled to be completed by the end of May, so it’s on track to host the test event in October,” said Yojiro Muraoka, director for venues at Kasai Canoe Slalom Centre in Edogawa Ward, which will be used for the Olympic canoe slalom event and will feature Japan’s first-ever artificial canoe slalom course. Kasai Canoe Slalom Centre was 74 percent complete as of January, although work on the 15,000 temporary spectator seats that will be installed for the July 24-Aug. 9, 2020, Olympics has not yet begun. Pumps that will create the current to propel the canoeists around the 200-meter-long course have also yet to be fitted. The venue will be used to host domestic and international canoeing events once the Olympics are over, and will also offer recreational pursuits such as rafting to the public. Officials hope to attract around 100,000 visitors each year. The Sea Forest Waterway will host Olympic and Paralympic sprint canoe and rowing events, and is being built in Koto Ward. The venue features a 2,000-meter-long course and will have an Olympic capacity of 24,000 seats, which will be reduced to 2,000 after the games. 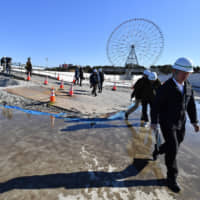 The venue was 77 percent complete as of January and is due to be finished at the end of May this year, in time to hold test events in August and September. The Sea Forest Waterway will be used to host water sports competitions after the games and also give to offer leisure facilities to Tokyo residents. Ariake Gymnastics Centre was 51 percent finished as of January and is scheduled for completion in October. It will host the Olympic gymnastics events and Paralympic boccia. The gymnasium, in Koto Ward, has been designed to incorporate aspects of traditional Japanese building methods, and makes more use of wood than any other Tokyo 2020 venue. It will feature a 120-meter-long, 90-meter wide arched wooden roof — the largest of its kind in the world — split into five sections each weighing 200 tons. 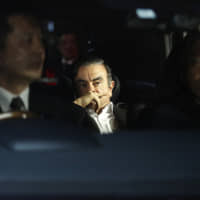 “I think the scale we are working on makes it quite rare anywhere in the world,” said Director for Venues Takanori Yamaguchi. Four of the five roof sections have already been raised. The arena is set to be turned into an exhibition hall after the games. Ariake Arena will host Olympic volleyball and Paralympic wheelchair basketball. It is located in Koto Ward and is currently 51 percent finished. It is scheduled for completion in December. The venue is located less than 200 meters from residential apartments, providing a particular challenge for the building’s designers. The Tokyo Aquatics Centre, which was formerly known as the Olympic Aquatics Centre, is currently 55 percent complete. 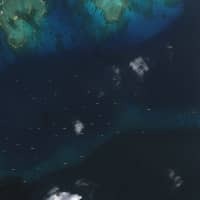 It is scheduled to be finished in February 2020. 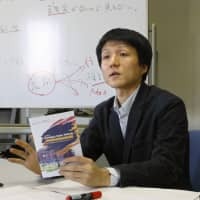 The Olympic Village, in Chuo Ward, will offer 18,000 beds for athletes during the Olympics and 8,000 during the Paralympics. The residential construction is currently 73 percent complete, while the commercial construction is 18 percent complete.